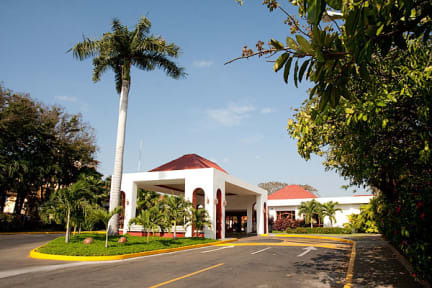 We are located 3 minutes away from the airport, just a few miles from Managua's new downtown. We have 117 rooms with air conditioning, cable TV, radio clock with alarm, desk, safe box, amenities kit, two phone lines with voicemail, and WiFi. 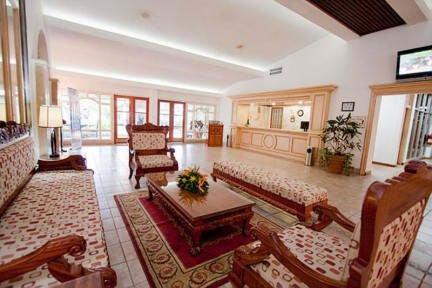 In the hotel you will find: two swimming pools, two tennis court, a spa with gym, sauna steam room and massage. A business center, meeting rooms and a Casino. Other services are: Free shuttle service, room service, private parking, car rental (Dollar & Hertz), gift shop, laundry and valet, medical care and babysitting.